Cadence is proud to be a leader in designing power-efficient chips and is committed to advancing the development of sustainable technologies. Our solutions enable our customers to achieve better performance with less power, helping to create a more environmentally responsible product and a more sustainable environment. Cadence recognizes the importance of energy-efficient semiconductor design as one of the electronics industry’s most pressing challenges, and has taken on the challenge in developing end-to-end solutions for low-power design. As opposed to conventional techniques to save power—such as keeping whole systems active to implement energy-wasting sleep or stand-by modes—engineers can use our advanced technologies and methodologies to “design-in” energy efficiency at the level of transistors and wires on silicon. These green silicon designs have already been proven to reduce power consumption. Saving power in this way not only helps protect the environment and its resources, but also enables our customers to differentiate their products in an increasingly competitive market—through enhanced energy efficiency, reduced heat, and greater reliability. Cadence is also committed to addressing the environmental impact of our facilities and business operations. We are working to implement waste reduction initiatives, to reduce our energy and water consumption, and to minimize our overall environmental impact in our communities. Cadence is committed to ensuring that recyclable materials are diverted safely and correctly. Our employees actively engage in recycling, composting, and reuse programs at our facilities worldwide. Cadence regularly reviews how we can reuse and maximize the use of our existing electronic equipment. For example, we have implemented a technology loaner program that offers older, previously used equipment to employees whose equipment may require updates or repair. Our largest building at our corporate headquarters in San Jose, California uses reflective roofing systems and architectural features to minimize solar gain and allow for less mechanical cooling energy consumption. The glass walls in this building let in more natural light, resulting in less required electricity for lighting office space. Natural ventilation is also used in place of traditional cooling systems where possible. Cadence regularly reviews lighting efficiency and HVAC improvements in our facilities worldwide to create energy-efficient offices and reduce energy consumption. 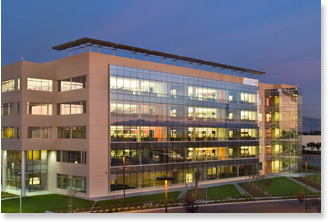 Our largest building at our corporate headquarters in San Jose, California features a comprehensive lighting-control system, advanced electronic lighting ballasts, compact fluorescent and LED lighting, and networked HVAC systems. We conduct routine HVAC maintenance and regularly check and fine-tune thermostat settings to be consistent with outdoor conditions and occupancy loads. By scheduling thermostat setbacks for non-critical and unoccupied spaces, we have significantly reduced our energy consumption and related costs. When considering hardware for our facilities worldwide, we consider power consumption, carbon footprint, power management features, operational efficiencies, power supply efficiency ratings, cooling requirements, international standards certificates (e.g., Energy Star and EPEAT) and generic attributes, such as recyclable packaging material and reuse. We use Energy Star-compliant desktop monitors, servers, and printers, and new workstations and laptops have EPEAT Gold and Silver ratings. We have enabled energy-saving modes on our computers, conference room monitors, and projectors, and our software allows reduced energy consumption during low-demand or idle times. Additionally, we are adopting cloud technologies, resulting in energy savings. We have also implemented collaboration tools for our employees and increased virtualization for our major events in order to reduce costs and carbon emissions related to business travel. It is important for us that our datacenters increase our computing capacity, but also reduce cooling energy requirements and physical space allocations. Over the past few years we have worked to improve efficiencies in our existing datacenters in San Jose, California by reducing cooling and energy requirements at these sites and using space more efficiently. Our business operations are not water intensive, but we are nonetheless committed to water conservation in our offices and datacenters through the use of water-efficient restroom fixtures and right-sized cooling equipment, and promoting conservation efforts. We have also adopted environmentally responsible landscaping practices by managing our landscape irrigation schedule, implementing weather-based irrigation controls, using recycled water for landscaping, and using native and sustainable plantings. 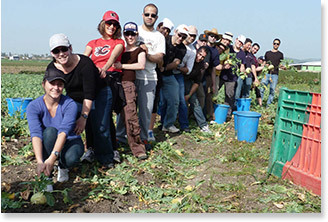 Cadence employees are doing their part to positively impact the environment. Our employees value our culture of giving back and take pride in the many opportunities to work with our communities and support efforts to build a more sustainable environment. Many Cadence employees around the world ride their bicycles to work. We sponsor an “Energizer Station” at one of Silicon Valley’s major bike commuting routes on Bike to Work Day and provided bicyclists with food, water, and good cheer to fuel them on their way to work. To commemorate Earth Day, Cadence’s IT team at our corporate headquarters in San Jose, California hosts an annual e-waste recycling and collection drive for Cadence employees to environmentally recycle or dispose of any end-of-life electronics. At our facilities, our employees have collected thousands of pounds of e-waste for proper disposal. Cadence supports efforts to reduce carbon emissions by maintaining highly utilized electric vehicle (EV) charging stations at several sites, including the corporate headquarters in San Jose, California. Vision: A global electronics industry that creates sustainable value for workers, the environment, and business. Mission: Members, suppliers, and stakeholders collaborate to improve working and environmental conditions through leading standards and practices. Taking an approach of continuous improvement, and in the spirit of the industry's common Code of Conduct goals, Cadence commits to progressively align our operations with the provisions of the RBA Code of Conduct, and to support and encourage our first-tier suppliers to do the same.